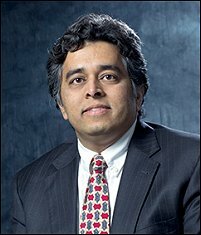 Congratulations to aerospace alum Dr. Farhan Gandhi who recently joined Rensselaer Polytechnic Institute as the Rosalind and John J. Redfern Jr. ’33 Professor of Engineering and a tenured full professor in the Department of Mechanical, Aerospace, and Nuclear Engineering. Dr. Gandhi received his master's and doctoral degrees in aerospace engineering from the the University of Maryland in 1992 and 1995. During his degree program he worked at the Alfred Gessow Rotorcraft Center under the advisement of Dr. Chopra.